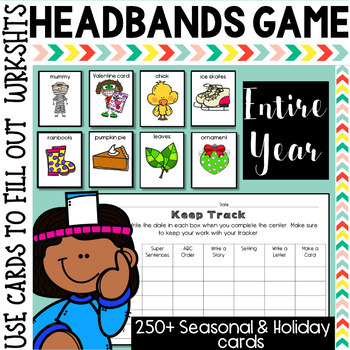 Engage students using these seasonal and holiday themed Headbands Game cards. Students will practice their communication skills and their inferencing skills while guessing their partners card hitting tons of speaking and listening standards that often get overlooked. 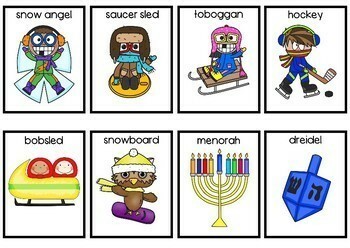 Next, have them use the cards from the game to complete one of the six worksheets. 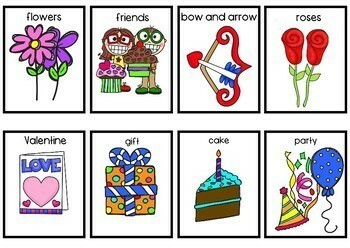 The worksheets cover six different skills: writing a letter, super sentences, making a card, creating a setting, developing a story, and ABC order. No need to change out your writing centers anymore. Just switch out the cards and writing skill! 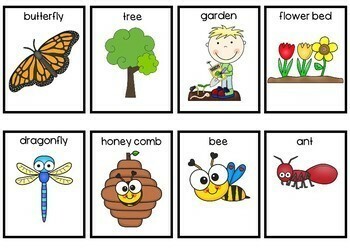 The vocabulary visuals of the game are also great for ESL students!